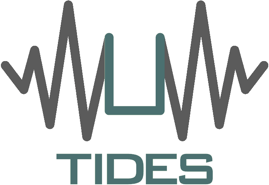 The up-to-date list of TIDES participating countries and NNCs can be found here . Please consult full eligibility rules on the Vademecum document (page 33). The STSM has to be completed by 19 October 2018. There is a minimum duration of 5 working days and a maximum of 2 months for the current proposed STSM. 1) Follow this link to apply on-line for a Short-Term Scientific Mission: apply on-line or log into e-COST and click on “STSM Application” on the menu available on the left. The grantee is required to submit a short scientific report (main text of 3-5 pages with any attachments if necessary) to the STSM coordinator for approval by the STSM Committee and subsequently by the Management Committee within 30 days after the end date of the STSM -- and anyway before 29 October 2018 * -- keeping the STSM host institution in copy. Failure to submit the scientific report within 30 days after the end of the STSM -- and anyway before 29 October 2018 * -- will effectively cancel the grant. * NB: The deadline of 29 October is due to the fact that TIDES COST Action closes on 2 November 2018. For a detailed and complete description of the eligibility rules and financial support according to COST, please consult the VADEMECUM document (pages 33-34).